This lovely lady can barely contain her flowing locks. Many people ask us what we do with the wool from our sheep. The simple answer is nothing. We don’t need to do anything. 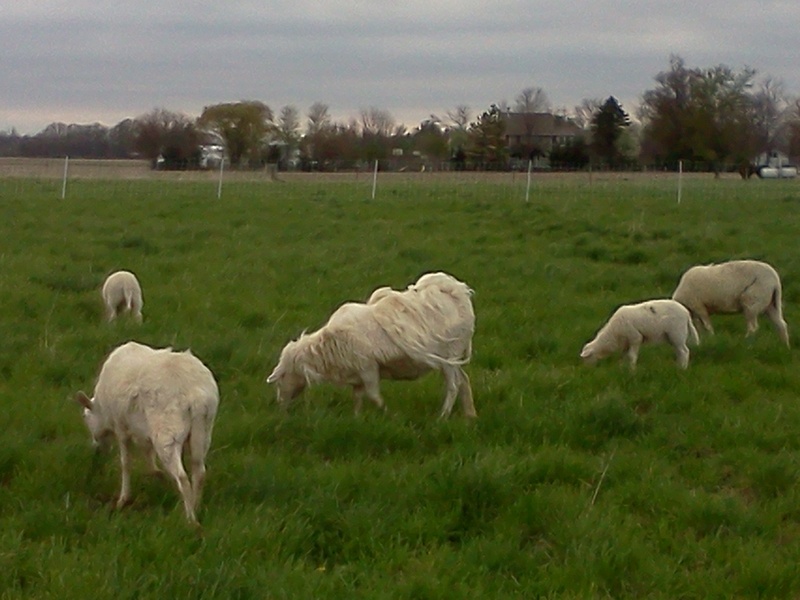 Our sheep are hair sheep, which means they shed their winter coat and require no shearing. The in between look isn’t the prettiest but it sure save us a lot of work. The Farm to Fork Market at Normandy Farms is shifting to its summer hours. Visit us Friday, May 2, 4:00 p.m. to 7:00 p.m. We’ll have lots of eggs, pastured pork, and pastured chicken. Betsy’s Kitchen will be bringing granola, granola bars, and Paleo Almond Delight Bars. Betsy will also continue to bring her Guinea Girl lotions, body butter, herbal salves, and lip balms.